Barbour Fly Fish Sock in navy blue. The Men's Barbour Fly Fish Socks features a unique Intarsia fly fishing knit which is perfect for adding a touch of fun to your feet this season and beyond. 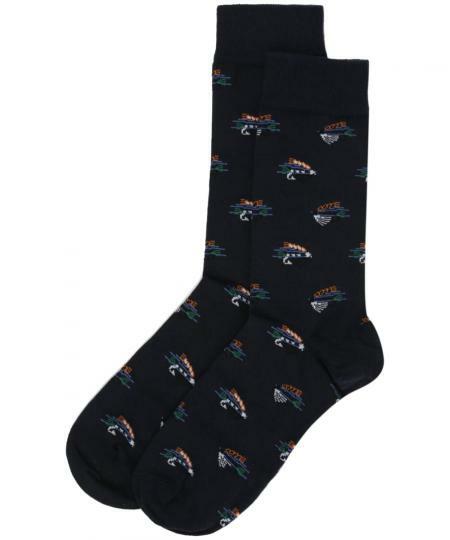 These socks have been crafted from cotton blend to offer you an added touch of comfort and wearability. Choose from 2 sizes medium (7 to 9) or large (10 to 12) using the pull down menu below.